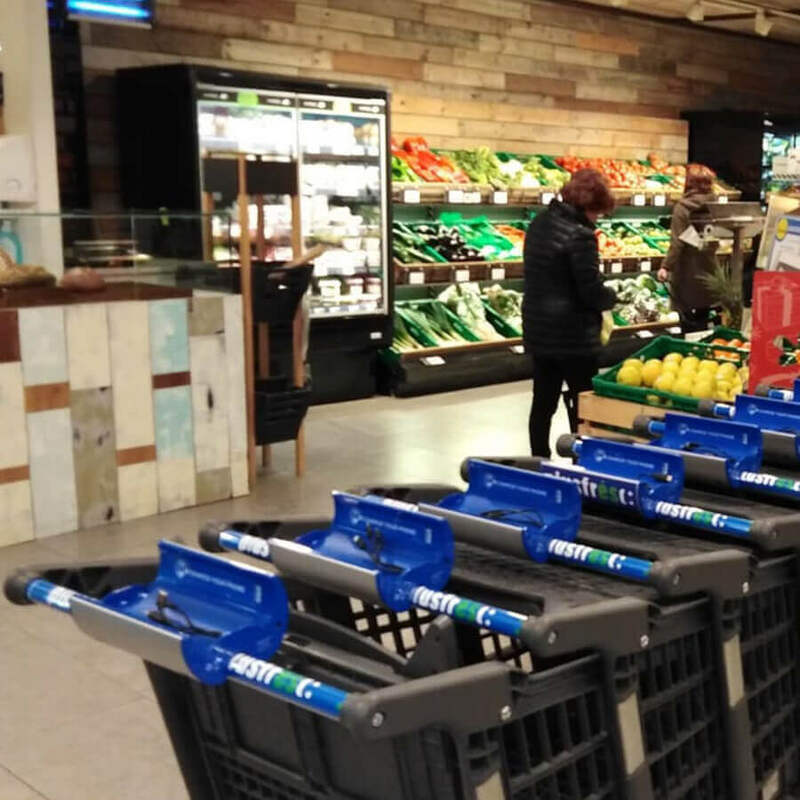 ChargeCart is the ideal charger for supermarkets, distribution and self-service retailers. 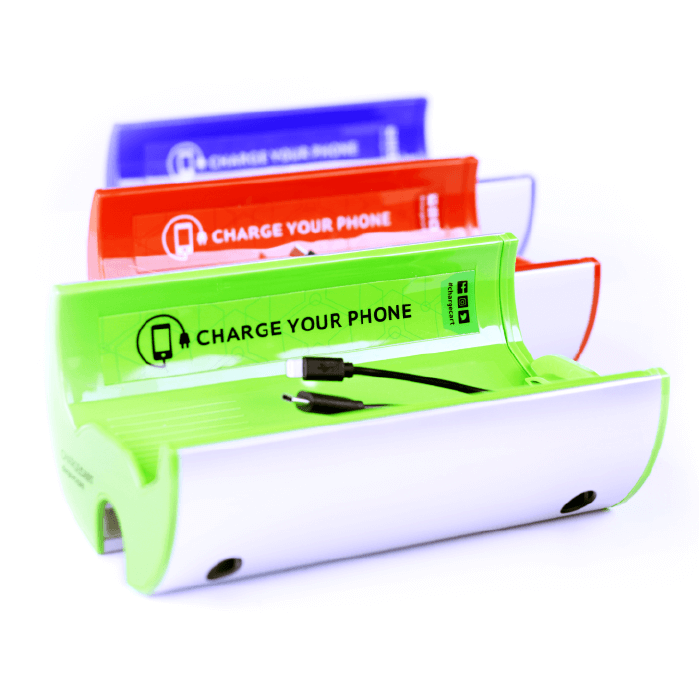 ChargeCart is integrated into the shopping carts and allows its customers to charge their mobile phones while they buy. 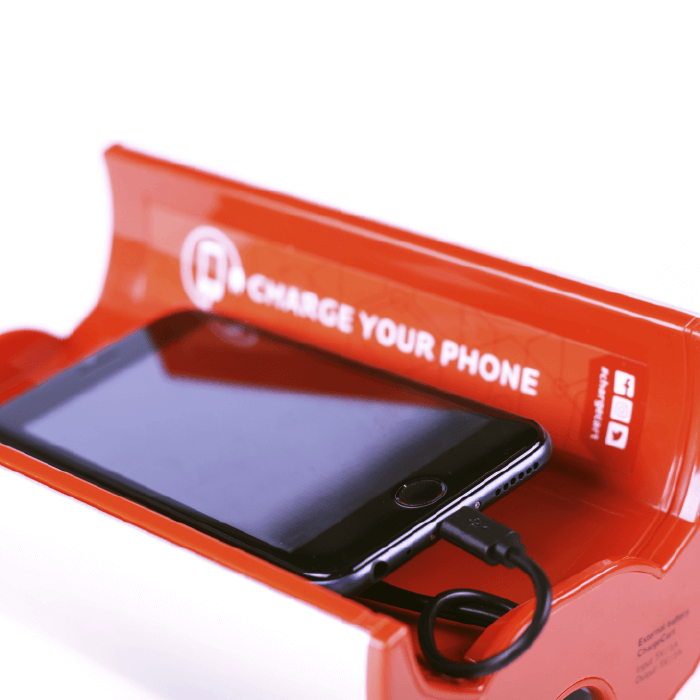 The ChargeCart package includes: 10 ChargeCart charger units + 1 charging hub for the 10 pieces + 10 charging cables. + 1 easy installation kit. 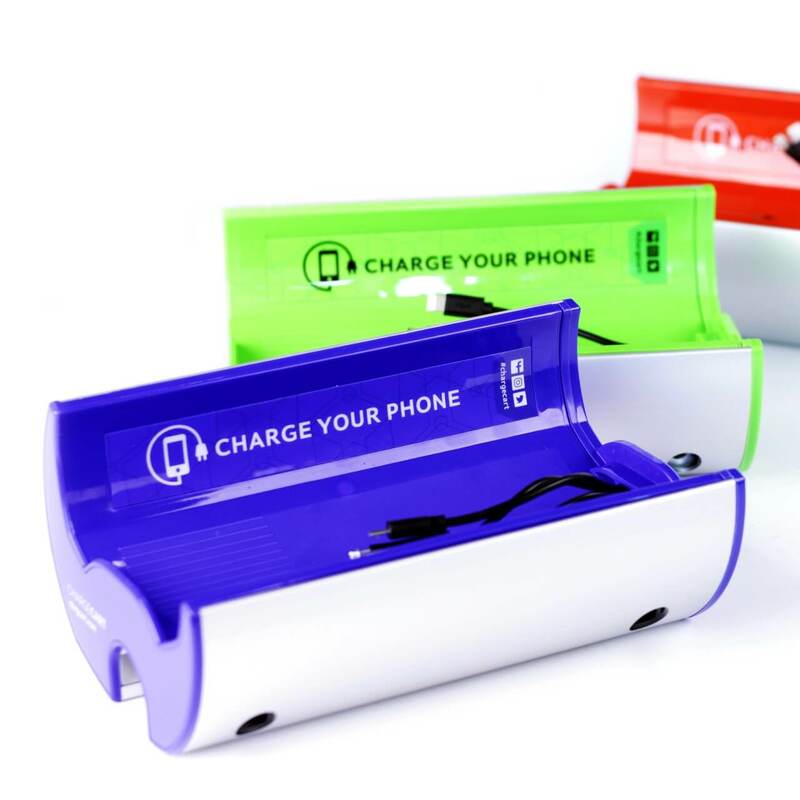 ChargeCart has an anti-theft system for the protection of mobile phones: it emits a beep every time the mobile device is connected or disconnected while it is charging and an anti-theft system to fix the car with screws designed for special tamper-proof keys. 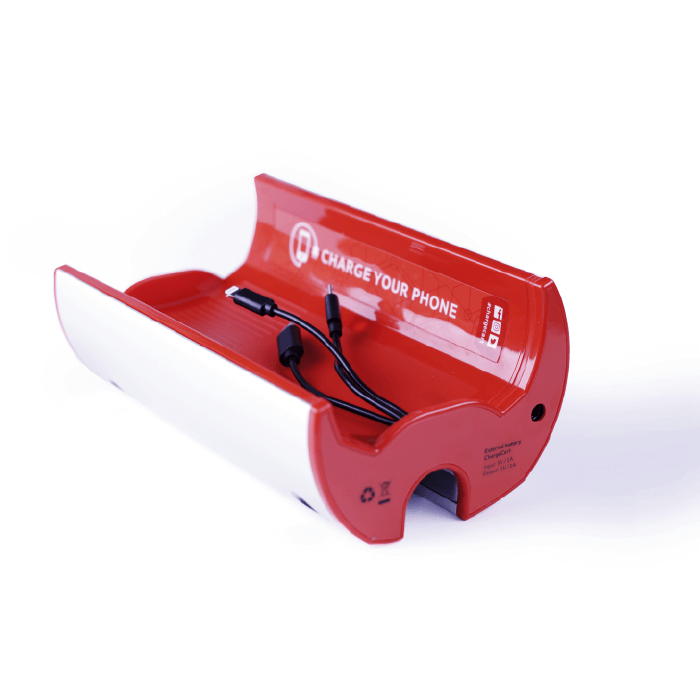 The charging process of ChargeCart is through a concentrator to which all the individual chargers are connected without having to uninstall them from the cars each time. Autonomous chargers: 8 hours of charging are enough to get a 24 hour range. It gives your business a more technological image to offer a better shopping experience. Increase in traffic: customers will recommend your establishment offering an added value that is a free freight service for the customer. Loyalty: customers will repeat their shopping experience and extend the stay in their establishment. Increase in sales: increase in the shopping cart and the average ticket. 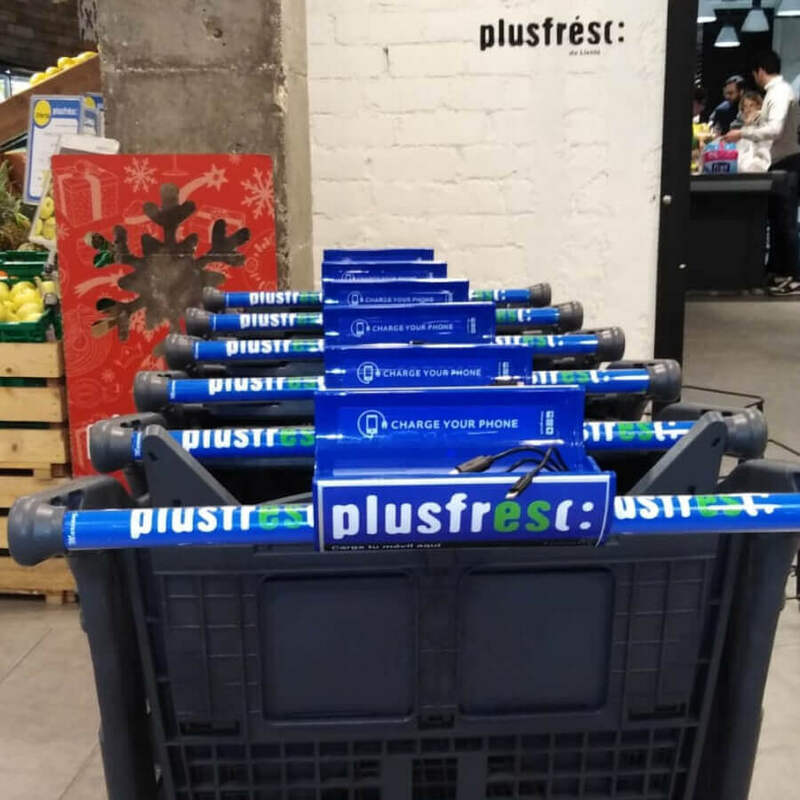 Customers buy 12.5% ​​more with ChargeCart.